Maulana prayed for the believers to be bestowed strength, light and understanding to be good servants, or to at least be able to follow His good servants. Maulana advised attenders to try to have their names written on the list of good servants, not bad ones. Maulana said that it is not a condition that everyone must be a Scholar in Islam. Every grant from Allah to His servants carries responsibilities. Allah gave each person different responsibilities. We must know what it is that is really necessary for mankind to do, in order to please Allah. Maulana said that, although he has been speaking out strongly against the beliefs of Salafis, he has never considered them out of the fold of Islam. “We are all brothers,” he said, “and we have all inherited Islam. Who brought Islam? Sayyidina Muhammad (saw).” So we must believe in him and respect him, it is obligatory, as he is the Messenger from the Lord of Heavens, who has brought us the way to safety, a way that prevents us from falling into Hell. We have taken knowledge of the Prophetic tradition (hadees) from the Companions, and they took their knowledge from Rasulullah (saw), who is taking his knowledge via ArchAngel Gabriel (as), from the Lord of Heavens. Before the advent of Islam, the Companions were also ignorant ones, they knew nothing about religion, they didn’t know how to differentiate between truth and falsehood, until Allah sent them the Furqan. The Furqan is another name for the Quran, it is the Divine Criterion to demarcate the limits of truth, beyond which lay falsehood. It shows very clearly where real truth ends and falsehood begins, it is a clear distinction between good and bad. These are heavenly wisdoms that guide humans to Paradise, as good things carry people to Paradises whilst bad things drag one down into Hells. Hence a Prophet is sent to teach us to understand the Criterion between truth and falsehood. Rasulullah (saw) was the last Messenger, and he brought the last Message, the Final Criterion to explain to all of Mankind till the end of time, all that is false and all that is true. The blessed ones to receive this message directly from him, were the Companions, who were entrusted to carry that message to the future generations of believers, up till Qiyamat. Hence, the source of Heavenly Knowledge is the Seal of Prophets, and each one of the 124 000 Companions, were tapping into and taking from that Ocean of Wisdom. We must not belittle the Companions, we mustn’t say, “This is not a hadees, it is merely from a Companion,” as each Companion had a direct link with Prophetic knowledge. It is only an ignorant one who disparages/disrespects/disregards the Companions. So, on whose authority are the Muslims of today rejecting the pearls brought by the Companions? Those pearls were acquired by the Companions when they dived into the Ocean of Rasulullah (saw)! The Prophet (saw) was the Ocean, and the Companions were not bringing their own pearls, they were bringing pearls from the Prophetic Oceans! Who are the Scholars of today to deride or doubt what the Companions brought? All Companions spoke with such pearls of Wisdom. They called out, “Oh Mankind, listen, think, accept and obey, so as to be honoured as a Deputy for Heavens.” The Companions brought thousands and thousands of pearls for us! Those ignorant ones who condemn or speak ill of them, they are harming the Companions with their tongues – that is not good manners for a believer. Such an action is displeasing to Allah, as it is He who arranged for these 124 000 Companions to provide the foundation of Islam, they have been picked to carry the burdens of the building of Islam. They are the chosen ones, all the 124 000 Companions have been picked to dive into the Prophet’s Ocean to retrieve pearls for the next generation of believers. We must use the correct Criterion to judge what is brought to us. Whoever dives into that Prophetic Ocean will either bring back oysters containing pearls or oyster shells (which do not contain pearls).We must be able to distinguish between those who bring pearls, and those who bring shells. What is the Criterion to distinguish between the good and bad people? We cannot judge, our judgement is always wrong, it is tainted with ego and emotion. We must use Holy Scales (Criterion) that were granted to the Companions of Rasulullah (saw). Those scales are the ones that can differentiate between good/truth and bad/falsehood, and the Companions took that Scale from the Prophet (saw). That scale has been passed down from generation to generation to the inheritors of such knowledge. Whom amongst the Scholars are using that Holy Scale now? We are in the worst period of Islamic civilisation today, as believers no longer seek out those who inherited that scale, they are simply judging by earthly scales that do not show reality. To judge if an act is an innovation (bida’ah), haram or shirik, one needs a Divine Scale. If you are not using such a Divine scale, then hold your tongues, Maulana says. You must name your Guide, from whom you inherited that Scale and that knowledge. The sad break-up of the Nation of the Beloved into 73 sects, is due to this type of Judgement, where believers judge based on earthly scales. Which sect is acceptable in the Divine presence? Every sect judges the other by its own standards and beliefs, so everyone finds the other sects as misguided ones, and everyone upholds his own sect. Is that how the Divine Scale of Judgement works? Why is it that the other sects do not look to the Ahli Sunnah wal Jema’ah, that takes its teachings from the 124 000 Companions of the Prophet (saw), whom the Prophet (saw) said, “My Companions are like stars in the sky, whomsoever you follow from amongst them, you will be guided.” Each sect must ask, which Companion it is following, which Companion has been the Guide for the Way that they follow. The Salafi ulama’, who claim to be guides for the Nation, bear a very heavy responsibility, as they have cut the ties of the Nation from the guided ones, and they are claiming to carry the torch of guidance for the Nation. By doing so, they have placed barriers in the path of seekers from attaining Paradise and from acquiring Allah’s pleasure. That is why, those who are true followers of the Companions (i.e the Saints), have been making Maulana speak nightly, to address the Nation of Muhammad (saw), so that the message of the reality of Islam, is correctly conveyed. What is this message? That Islam calls to people to be good ones, and not to be evil ones. This message was conveyed by Rasulullah to the Companions, and from them, to the inheritors. One cannot invent a new message or a new Way today, by labeling the Companions as misguided ones. The Prophet (saw) said, "Seek knowledge, even if you have to go to China." The message of Islam is simple and beautiful. Be good ones and be not evil ones. Yet everyone on earth is claiming to be good! Every sect, in every religion, claims that they are true, whilst all others are false. It is indeed a very confusing time to be in, when you are surrounded by so many sects and groups, all claiming to be true ones. This is the time of powerful advertising and propaganda, many are hungry to be leaders, and they manipulate the media and play mind games to win followers by harping on their good points, and painting themselves are victims of their enemies; or they embark on a media blitz to shame their opponents with false accusations (fitna), knowing that by throwing doubt on the reputation of a true one, they can cause people to run away to their side. So how do we judge in such confusing times? We must judge by the Criterion sent by Allah to the Prophet (saw) and to the Companions. We cannot judge with our minds, our worldly knowledge, or our own egos. 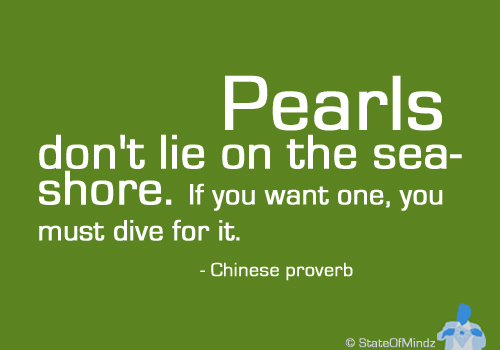 We must judge if someone is bringing us a pearl or a shell, by His Criterion. Every sect is claiming to be true, we cannot listen to their arguments with our ears, but we must listen with our hearts. How to tell if a person is a true guide? Maulana says, your hearts can tell. Sit with him – does he remove the burdens from your heart? Does he connect you with whom you are seeking? Is he guiding you to the Ways of the Companions? It is easy to pretend to be a guide – after all, dressing up to look pious and holy is really easy, but a genuine Spiritual connection cannot be bought or faked. Maulana says, an imposter can fool you with a lighted candle on a dark night, but once the Sun rises, his game is up. Since the Companions are the ones who inherited Prophetic pearls, any sect that condemns the Companions, cannot be a true one. Neither can a sect that has no connection with the Companions, claim to be a true one. We must seek out the inheritors, who bring not a new Way from themselves, but who bring a Way from those before them. An inheritor of the Prophet (saw) is one who brings us these pearls, from the Ways of the Companions of the Prophet (saw). Who is a such a one? Allah has said in the Ayat above, that if a person has fear of Allah (taqwa), Allah will give him the Criterion, to know what is good and what is not. But there is a condition, before one can be given that – he must fear Allah. So seek guidance by reflection and by fearing Allah! Do not judge the truth of any matter, by your ego, emotion, anger or by simply following the crowd. Fear Allah, and He will give you the Criterion to decide whom to follow. When your heart points you towards a Guide, remember, be like Sayyidina Ali (rakw), be a humble servant to the one who guides you (which means, obey submissively, without resistance or defiance). Sit in his Suhbah humbly, and thankfully. Then ponder, reflect and think deeply into the meaning of the message, asking Allah to open the light of understanding for you. Those who truly fear Him, He will open the Way for them. What is the message in this Suhbah? Whom we follow is very important, we will inherit the same journey of the one whom we follow. We can only be good servants if we follow good servants. Good servants, called inheritors, follow the Way of the Companions, who had brought pearls of guidance from the Prophetic Oceans they had dived in. Do not follow an unconnected one. Seek out these true ones, for they bring pearls. False ones bring shells. To tell them apart, seek guidance from your hearts. If you fear Allah, He will give you the Criterion to distinguish these two, for He is merciful, He wants you to be truly guided. But you must be sincere, then you will be shown. Once you find such a person, sit in his company, listen to his Suhbahs. Just as the Companions were always in the Prophet’s company, you must always be in your Shaykh’s presence. How to dive into an Ocean, if you stand not at its shore? Treat each Suhbah, as the most precious revelation in your life (because it is!). It is the Key to discovering the Hidden Treasure, for which you were created for. Give your fullest concentration during each Suhbah. Ponder and reflect deeply about the meaning contained within each Suhbah, and make prayer to Allah to open the doors of understanding. The end product is that you became a truly good person – internally and externally. So become a Good one, as judged by His Criterion, not yours. If you would like to listen to the actual Suhbah by Maulana Shaykh Nazim when it was recorded, please click here. Once at the site, please click on the Sohbat 13 Oct 2010. These transcripts and Study materials are found at the Singapore Naqshbandi portal, www.SufiHub.com, these are also completely free-of-charge.